The Ultimate Introduction to Makeup Artistry for all Makeup lovers!! Is Makeup is your passion….or your dream? Maybe your dream job? 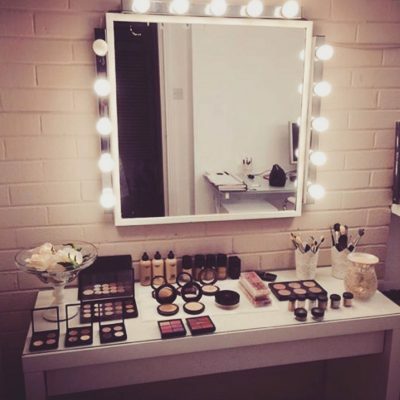 Maybe you want to hone your own makeup skills to perfection? Danielle has created this 4 week course to suit everyone! The course is designed to inspire, motivate and direct you to where you want to be in the beauty world – whether that is fulfilling your lifelong ambitions or perfecting your personal application skills. Danielle’s 4 week course is thorough, exciting and hugely creative and you will leave feeling massively inspired! The perfect Foundation Base – lets face it – it’s all about the skin! Contour placement to suit different face shapes…placement needs to enhance, not detract! Brows… The trend is changing.. Creating a beautiful brow to define the face shape. Learn how to achieve a gorgeous glam smokey eye with the right lash application to enhance every eye shape. Dates: Course runs for 4 consecutive Sundays.. Cost: of course is €400, deposit of €100 secures your place. Workshops have limited availability. To secure your place, use the booking buttons to the right to pay your booking deposit through PayPal. Please note that deposits are non-refundable.